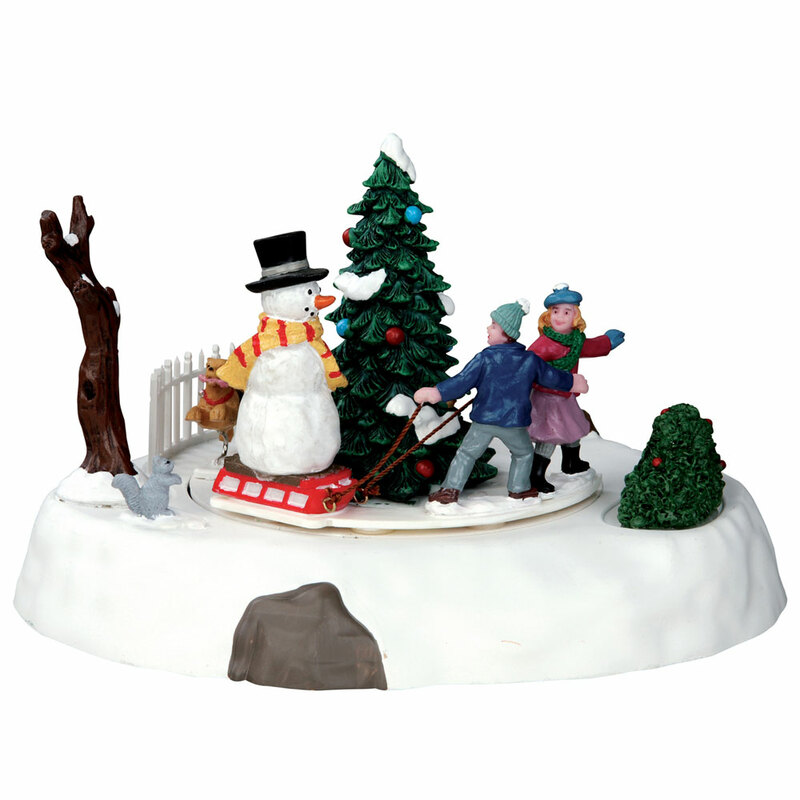 Lemax One Of The Gang Table Accent depicts animated joyful children with a chasing dog in a snowed park scene, happily towing their Snowman on a sledge around the Christmas tree. A delightful battery operated miniature Lemax table piece to compliment your miniature Winter village display. The scene includes multi figurines on a snowed rotational platform simulating a chase around the wonderful Christmas tree. Scaled and themed for placement in and amongst your Lemax village scene to add movement to a Winter setting. The multi figurine scene is placed on a single individual snowed base and all figurines move in a rotational sequence. Battery operated as standard, powered by an internal battery compartment underneath, however this table accent is also mains adaptable. One Of The Gang is a recent addition to the range, joining the growing Lemax Vail Village collection in 2015.